Sirri, L. (2017). 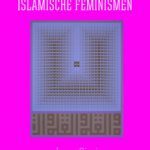 Einführung in islamische Feminismen. Berlin, Germany: Worten und meer. Wesseling, E. (Ed.) (2017). 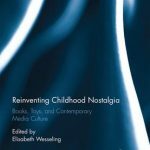 Reinventing childhood nostalgia: Books, toys and contemporary media culture. (Studies in Childhood, 1700 to the Present). London/New York: Routledge/Taylor & Francis Group. Brunotte, U. (2017). The Myth-Ritual debate. In R. King (Ed. ), Religion, theory, critique: Classic and contemporary approaches and methods (pp. 367-376). New York: Columbia University Press. van den Hengel, L. (2017). Archives of affect: Performance, reenactment, and the becoming of memory. In L. Muntean, L. Plate, & A. Smelik (Eds. ), Materializing memory in art and popular culture (pp. 125-142). (Routledge Research in Cultural and Media Studies). London/New York: Routledge/Taylor & Francis Group.